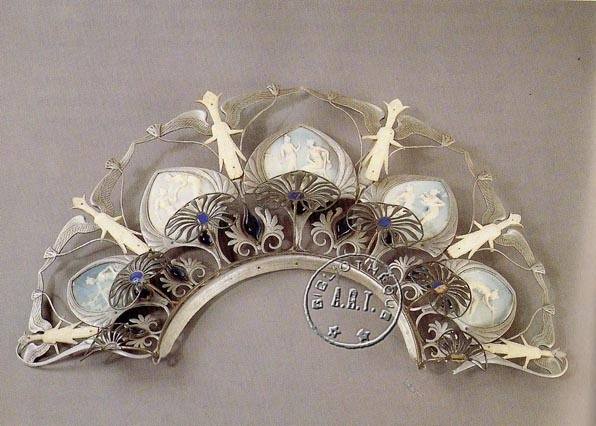 Although a revelation to some, Lalique designed tiaras for actresses other than Sarah Bernhardt. One of his most eloquent pieces was made for Julia Bartet, who starred in Jean Racine’s Bérénice at the Comédie-Française in 1893. The perfect material for theatre props, Lalique used an aluminum frame, which was shaped into lotus flowers and openwork palmettes. Figures of the Greco-Roman goddess Isis punctuated five ivory cameos, depicting scenes from Bérénice’s life. 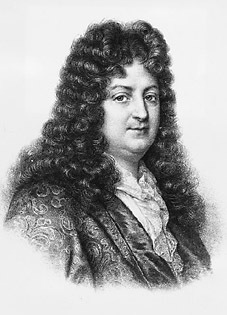 Jean Racine (1639-1699) wrote tragedies in which men fall from prosperity to disaster. But being a Jansenist Christian, his sense of fatalism and divine grace departed from Greek tragedy, where merciless Gods lead men to unforeseen doom. Instead, Racine’s tragic vision was the product of unrequited love. In Bérénice, Racine wrote about the all-consuming love between her and Titus, son of the Roman Emperor Vespasian. When Vespasian died, it was thought Titus would finally be free to marry his true love. 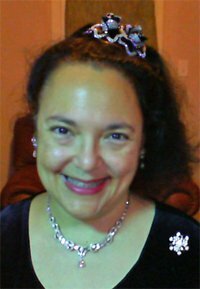 However the Roman population would not accept a “foreign” queen. In 79 AD, when Titus became Emperor, he caved into Roman political pressure and chose his duty over her. 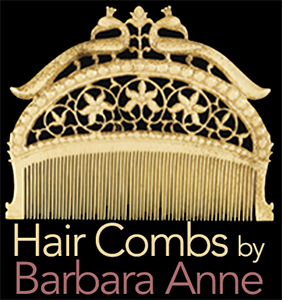 Although he begged her to stay, she ran away, and he continued as Emperor. 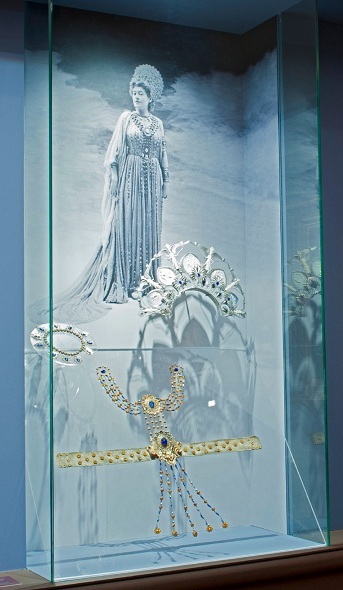 Photograph of Julia Bartet in the Role of Bérénice with Lalique’s tiara at the Musée Lambinet, Versailles. The real Bérénice was the daughter of Herod Agrippa I, the Jewish client-king of Roman Judea, and the man who built the Second Temple of Jerusalem. 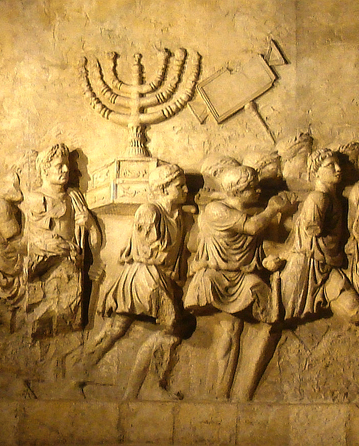 Herod’s entire family were Roman citizens. During the First Roman-Jewish War, in 70 AD, Titus sacked Jerusalem and destroyed Herod’s temple — while involved in a passionate love affair with his daughter. This is the reason Titus had to choose between Rome and Bérénice.